Fear of the Dark is the ninth studio album released by British heavy metal band Iron Maiden. It topped the UK albums chart. Released on 11 May 1992, it was the final studio album to feature Bruce Dickinson as lead vocalist who left the band following the album's support tour to pursue a solo career. He was succeeded by Blaze Bayley, formerly of Wolfsbane, for two studio albums until Dickinson returned to Iron Maiden for the 2000 release of Brave New World. 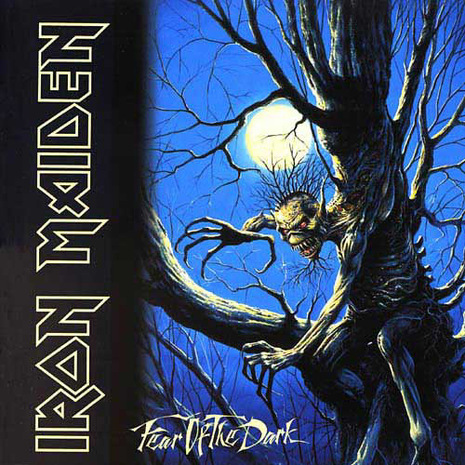 The album cover of Fear of the Dark was the first Iron Maiden album cover not to be designed by artist Derek Riggs. In an interview with MTV, Bruce Dickinson said they had asked three different artists to design a cover, and they then picked the best one. Melvyn Grant's illustration was chosen over the one Riggs submitted. Melvyn Grant has since drawn two more album covers for Iron Maiden, and the cover for their single "The Reincarnation of Benjamin Breeg" makes him the second most-used artist for Eddie after Riggs. The album's musical style showed some experimentation with "Be Quick or Be Dead", a speed metal song released as the album's first single, and "Wasting Love", the group's sole power ballad. The Gulf War track "Afraid to Shoot Strangers" was the band's most political song since "2 Minutes to Midnight". The album featured first time songwriting credits for Janick Gers and featured more keyboard work than the previous album. Only two songs off of the album, the title track, and "Afraid to Shoot Strangers", would survive on tours past 1993. 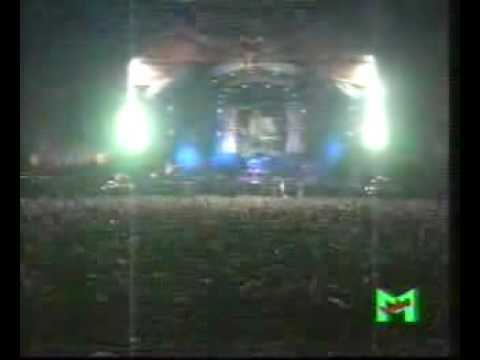 "Fear of the Dark" became a popular live track and is still played often today. "Afraid to Shoot Strangers" became a frequent addition on setlists during Blaze Bayley's tenure with Iron Maiden. "Be Quick or Be Dead," "From Here to Eternity," "Wasting Love," and a live version of the title track were released as singles. Fear Of The Dark Tour was the tour supporting the album.